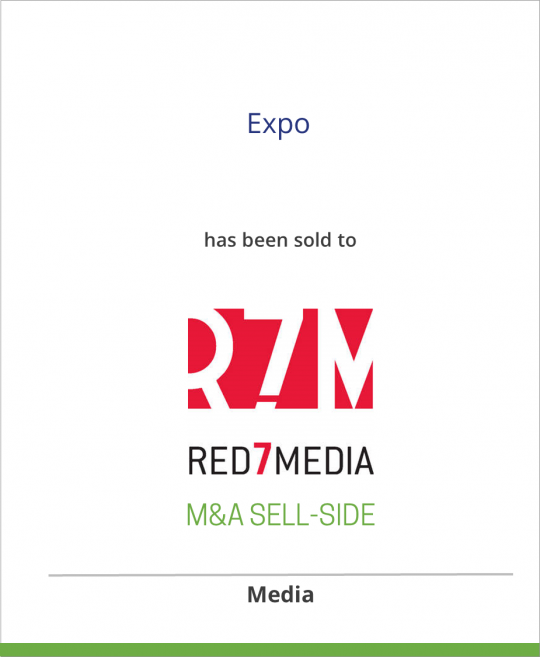 Ascend Media’s Expo, published for exposition and convention professionals, has been sold to Red7Media. Red 7 Media, LLC is a privately-held media company which publishes magazines and newsletters, as well as produces conferences and trade shows. Its properties deliver content in print via market-leading business magazines, online via targeted web sites and e-newsletters, and in person at live events and trade shows. In addition, Red 7 Media offers a unique array of custom marketing and publishing solutions, including lead-generation services and consulting in the niche markets it serves.